Big thanks to RentAll Marquette for helping us giveaway this awesome prize! 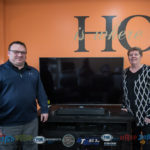 Marquette, MI – April 9, 2019 – Last week we invited 400 of the thousands of entrants who registered to our giveaway party for a chance to win a 55″ 4K LG SmartTV package from Appliacne and Furniture Rent-All. 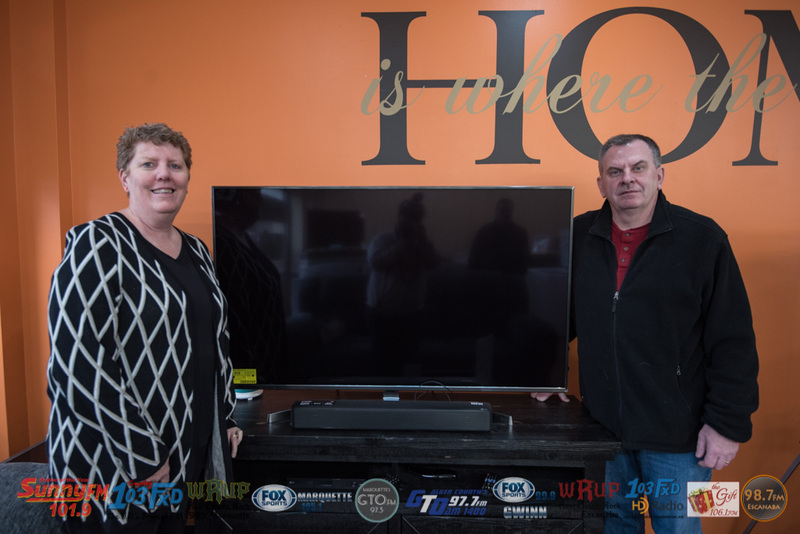 About 250 guests joined us on Thursday at River Rock Lanes and Banquet Center in Ishpeming where we found our lucky winner. 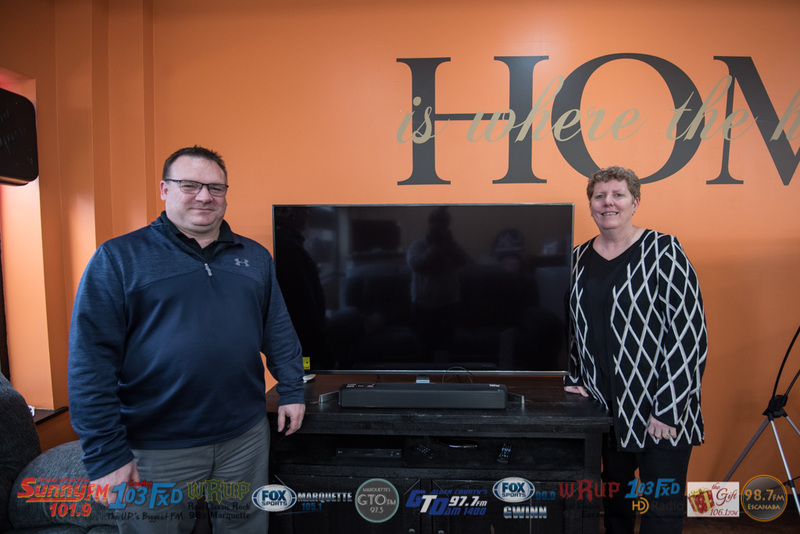 Today, Munising resident Rebecca McLaren and her husband drove into Marquette to set up delivery and installation of their brand new entertainment system from RentAll! 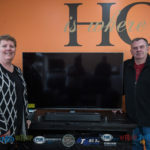 Calvin, Regional Manager of Appliance and Furniture RentAll Marquette met the couple to show them their grand prize in person. 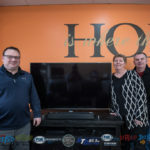 The two were impressed by the quality of the TV stand and couldn’t have been more excited to get it set up in their home! While you can buy brand new items from Rent-All, you can also rent by the month or even by week! Whether you’re throwing a party for the big game and want a bigger TV or you’re here on work assignment and don’t want to buy all new equipment, Appliance & Furniture RentAll has you covered. Drop in and see Calvin and the rest of the RentAll crew and see what they can help you with. Special thanks to RentAll Marquette for being our major sponsor for the Rent-All Win-All Entertainment Giveaway. To see pictures and a story from the night, click here. 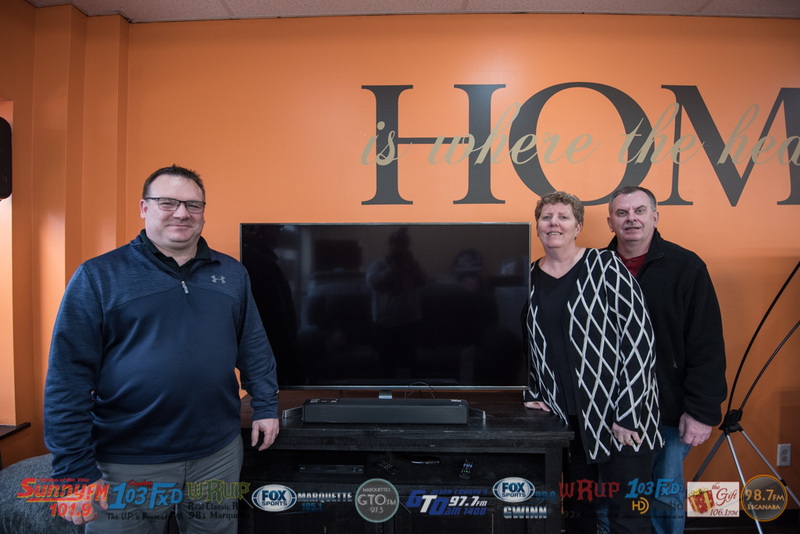 The McLarens with their brand new 55" 4K LG Smart TV, LG Soundbar, LG Blu-ray Player and TV stand.